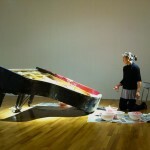 Tomoko Mukaiyama is a visual artist and pianist. 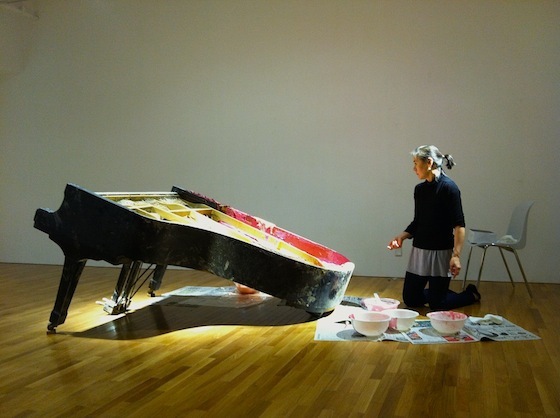 She received a commission to make a new piece while living in the aftermath of 3.11. 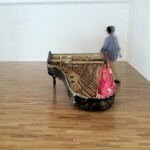 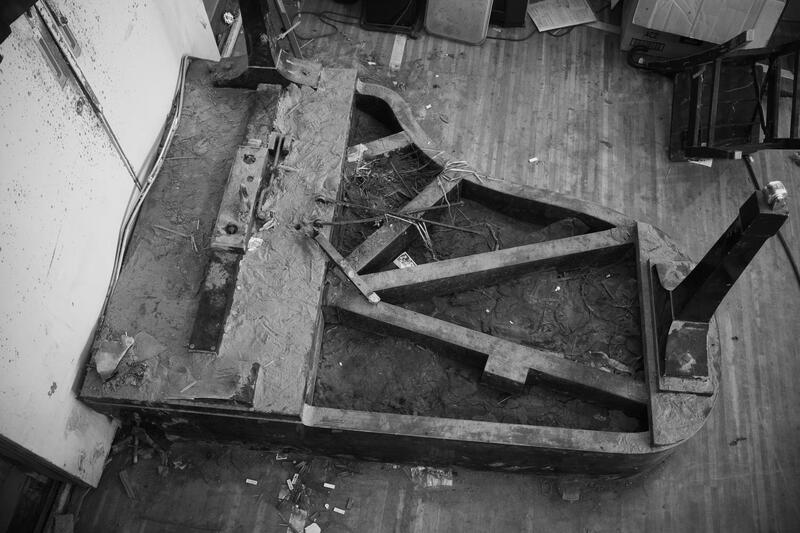 She decided to make an installation with two pianos that were destroyed by the tsunami. 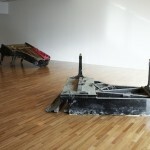 The pianos are set up inside a gallery space next to each other. 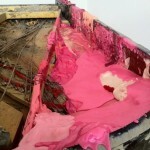 One is destroyed and covered with mud and debris from the tsunami waste. 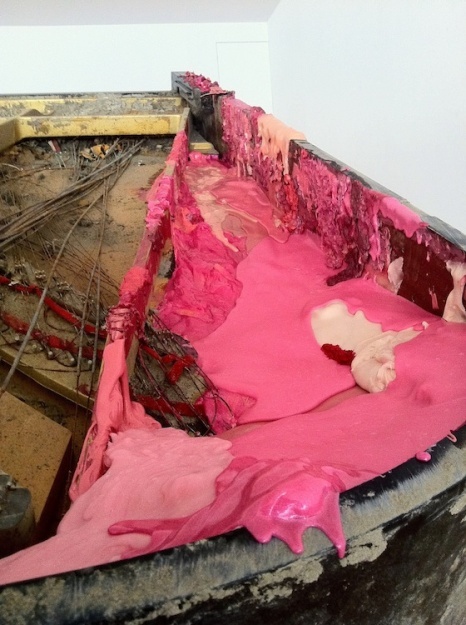 The other is covered with shiny, warm coloured lipstick pigments to express the hope of returning one day to normal life; carrying the tsunami as a broken memory in the hearts of so many who lost everything. 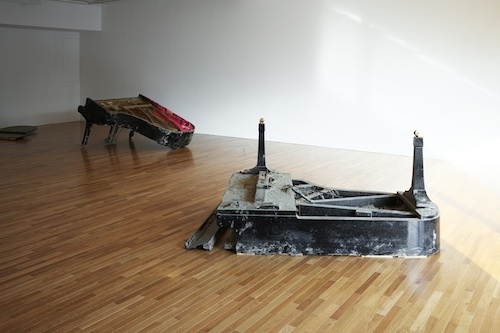 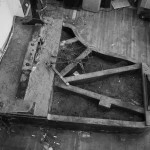 The pianos together form a place of commemoration. 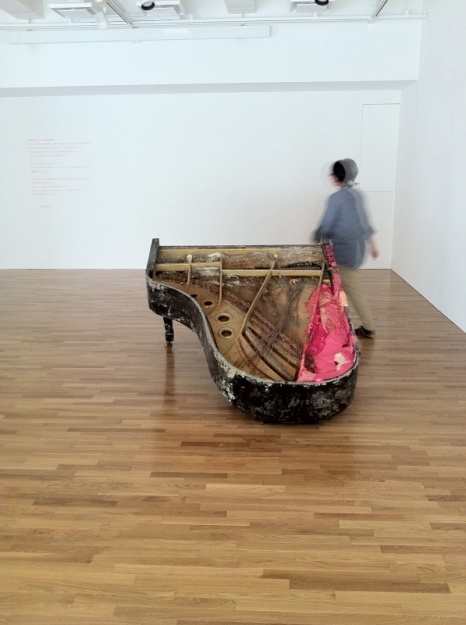 Click here for photos and information in Japanese.